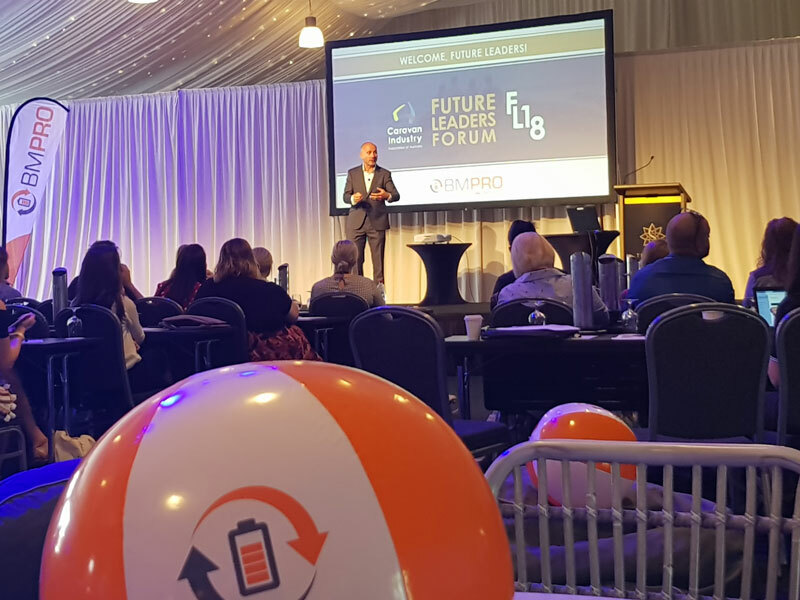 BMPRO continues supporting young leaders of Australian Caravan Industry, sponsoring Future Leaders Forum held at the National Conference. We believe success of our company is grounded on the ongoing support of young talents and fostering innovation spirit. Innovation. A word that conjures images of vibrancy, creativity, and youthfulness. BMPRO, a company with a 50 year history of manufacturing, proves innovation and longevity make great partners. Throughout our proud half-century of business, BMPRO has established a stellar reputation for the design and manufacturing of power supplies. We have achieved this through innovation, by embracing new technologies and understanding consumer trends and experiences. At BMPRO, innovation means knowing no limits, not fearing a fall. Many years ago, our company jumped into unchartered terrain when we created a range of off-the-shelf products for the B2C market. 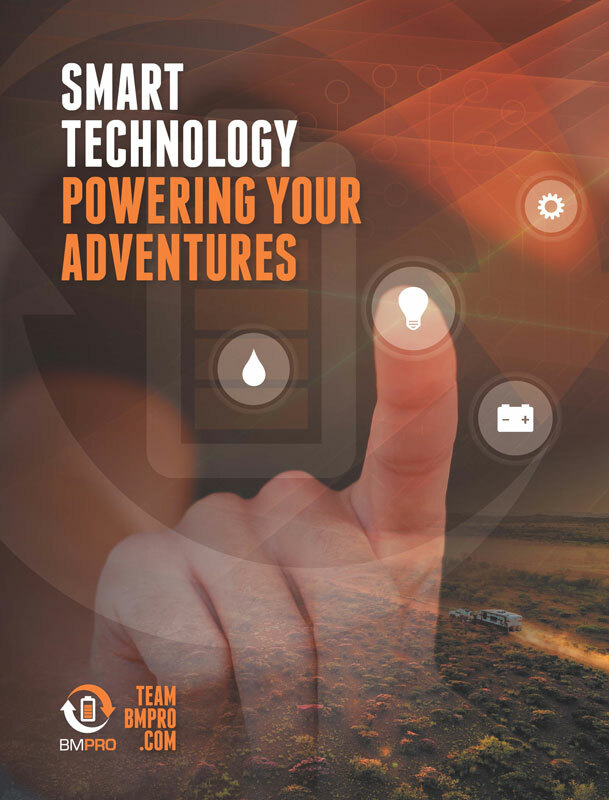 Our leap of innovative faith proved successful and our products, such as battery chargers, safety gadgets, and monitoring devices have gone on to power many adventures. It’s our innovative spirit that won’t let us stay idle. We feel uncomfortable in stagnancy. And we’re therefore constantly seeking new ways to manifest our ideas and thoughts. Recently, we entered the US market and demonstrated that Australian innovation can impact change internationally. Our product for American enthusiasts, the RVMaster, an app-based console for RV control and management, was met with overwhelming success and interest at the RVX show in Salt Lake City. BMPRO values innovation and an experimental attitude. We believe these traits go hand-in-hand with the Future Leaders of the Caravan Industry Association of Australia. We recognise in future leaders the excitement, the urge to take risks, and the readiness to make ideas a reality. Future leaders embrace the knowledge that innovation is simply an idea that doesn’t stay that way. With this in mind, we believe that innovation in the caravan industry knows no bounds. Innovative ideas will ensure caravanning and camping continues to see exponential growth as an industry. These same innovative ideas will guarantee that travellers enjoy a more holistic holiday experience. New technologies offer the latest in fuel and energy efficiency, greater safety and reliability in caravans, campers and RVs. Apps allow tourists to control—in the palm of their hand—functions on their caravan such as lights and awnings, as well as monitoring tyre pressure, tanks and temperature. Cost-effective lithium batteries enable free camping for longer. It is an exciting time to be involved in this industry. Future leaders are conscious of innovation being crucial to staying on pace. It’s innovation that will ensure customers keep choosing caravanning and camping as their holiday of choice. Our future leaders bring an added element of vibrancy to our exciting industry and with fresh eyes and sharp intellect, our emerging leaders help us to see that travellers are a diverse group: there are some who wish to holiday and still be connected electronically, and yet others who seek the peace that can only come from being off-line and off-road. Regardless of what type of break a tourist is seeking, our future leaders know to use innovative methods to market the industry and its products. Future leaders in the caravan industry know collaboration is the key to success. Working with suppliers, manufacturers, parks, leisure and tourism providers states one strong message: the industry is contemporary and offers an exhilarating opportunity for couples, families and individuals to enjoy relaxed and unhurried holidays. Future leaders therefore surround themselves with a team of creative thinkers, flexible planners, robust researchers and designers, and supportive and clever management to bring innovation to a reality. At BMPRO, we’ve seen future leaders embrace the concept of collaboration with partners and stakeholders; this brings a quiet confidence to their role, as they therefore learn more about the breadth of the industry, rather than concentrating on one specific sector. Future leaders think. Future leaders create. Future leaders learn. To our future leaders, we want you to know that BMPRO is behind you, cheering, encouraging, supporting. BMPRO wants you, the future leaders of the industry, to be receptive and open, to know what’s happening in the market and in the world, to experiment with new ideas and technologies. Get out there and explore your industry and your world, attend workshops and conferences, invest in education, partner with the innovators in the industry. Most of all, turn your ideas into reality, and thereby add value to your customers’ experience. And always remember, if a company doesn’t innovate, it stagnates.